Let’s face it, it just ain’t easy to come up with something new and unique in the watch world these days. Crowd funded watches are a dime-a-dozen, and the market is already crowded with well-established micro brands. Heck, even the big boys seem to have given up on new designs and technical innovation, instead choosing to ride on past glories by releasing one vintage re-creation after another. Frankly it’s getting old, so when we see something different it peaks our interest. 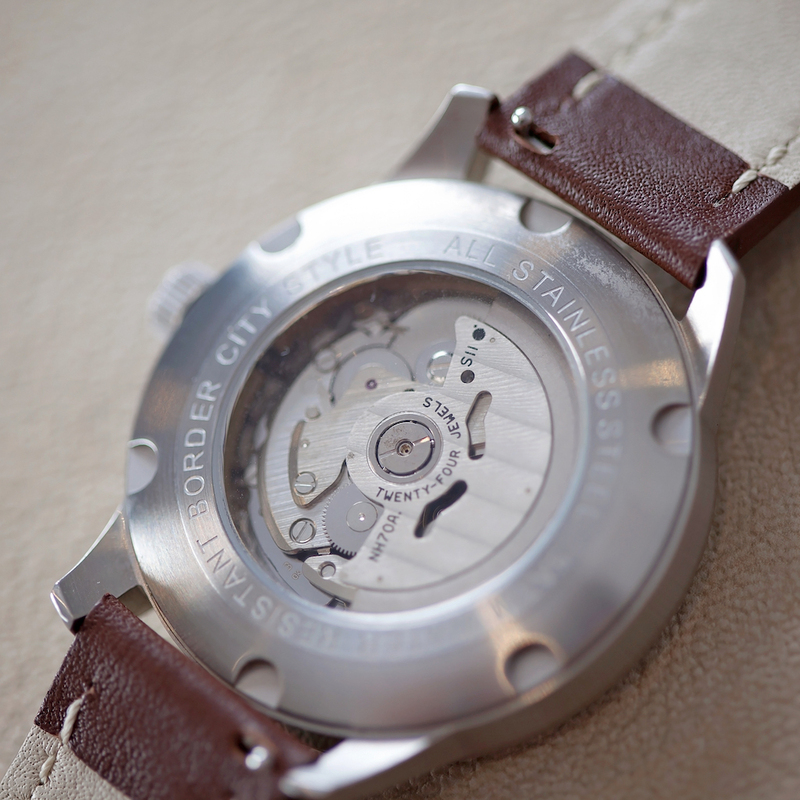 Border City Style appears to be your typical watch brand start up, which basically means one guy (or gal) designing a watch at his kitchen table to his own tastes, and that he hopes others will like. Actually, I have no idea if Jonathan Van Lare, founder of Border City Style, designed his first watch at his kitchen table but you get the idea. I’d say it’s probably a pretty safe bet that if it wasn’t designed in his kitchen, it was either designed in another room in the house, or possibly down at the local pub. I’d personally choose the latter. I’ll say right off that I think the design will be polarizing. That can be a good thing because it can actually help draw eyes to a new brand. It creates discussion, which in turn can create interest. Jonathan has chosen to create a watch based on, well, booze! More accurately, the appropriately named Rum Runner is designed to depict the scene of a resident of Windsor, Ontario, Canada (Jonathan would be one of those residents) looking out over the Detroit river at the city of Detroit. Now, being a “car guy” I was actually already familiar with the city of Windsor prior to hearing about Border City Style and the Rum Runner. The “Big Three” car manufacturers in Detroit (Ford, General Motors, and Chrysler) built manufacturing plants in Windsor, which became known as the “Automotive Capital of Canada”. As a matter of fact, the engine in my very first car (a 1963 Ford Thunderbird) was built on that side of the river and came to be known as the “351 Windsor”. Anyway, I had no idea that Windsor was also known as a hotbed of hooch smuggling in the early part of the 20th century! How cool is that? As I stated above, the watch will certainly be polarizing, and whether or not it’s to your own personal tastes, it’s quite interesting. The large horizontal swath cut through the center of the brushed, silver dial and exposing the Seiko NH70A movement inside represents the Detroit River, bordered on the top side of the dial by Detroit, and the bottom side by Windsor. According to Jonathan, the exposed components of the movement represent the frozen over river that the rum runners would drive over to deliver their illegal booty to the speakeasies in Detroit. For those of you not familiar with Seiko’s NH70A, it’s simply a skeletonized version of the no-day, no-date NH38A, which means it’s a solid, reliable, well-built movement. 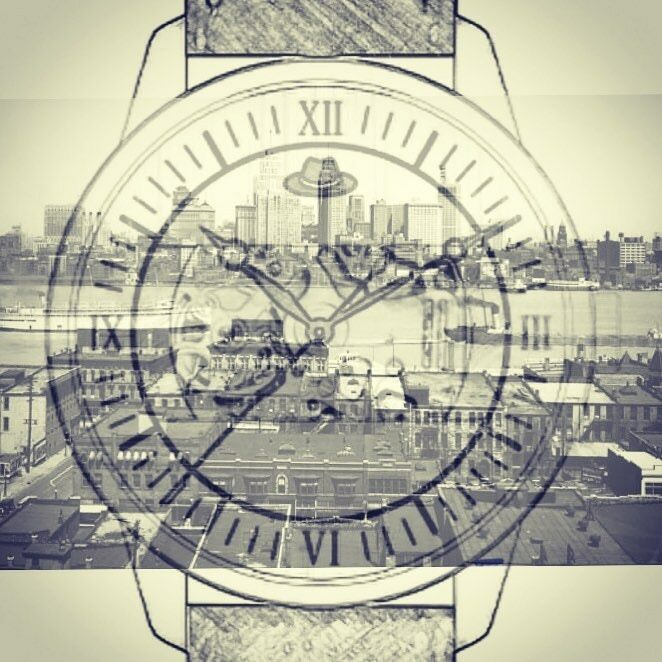 The remainder of the dial consists of an old school bowler hat logo at twelve, with roman numerals at 3, 6, 9, and 12. The Breguet-style hands are heat blued which is a nice touch at this price point. 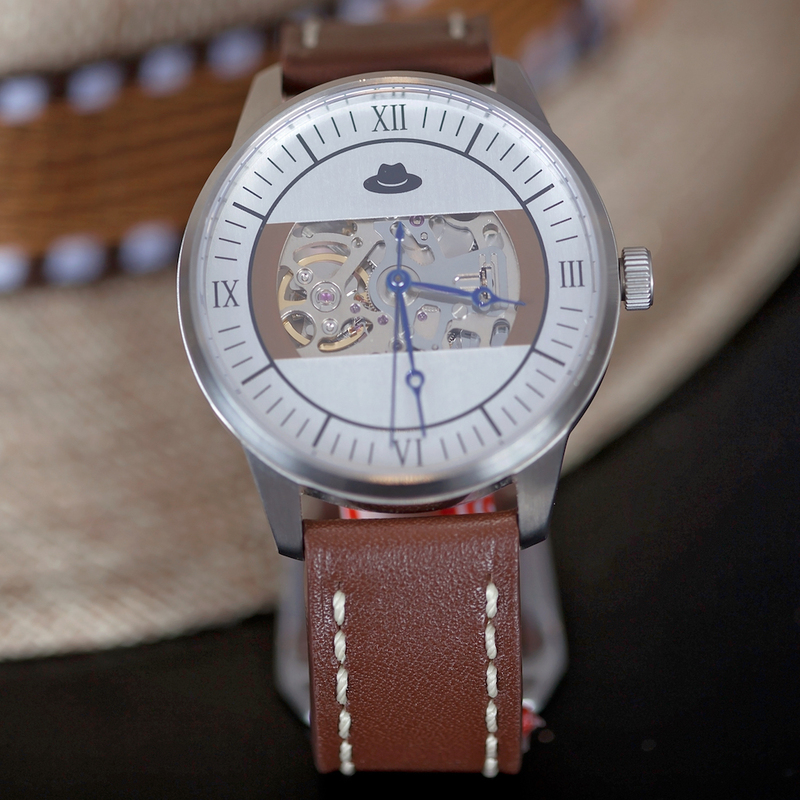 The brushed case is a very simple round affair, held on the wrist by a 20mm Italian leather strap, and the crown is signed with the bowler hat BCS logo. The case back is a screw down type with an exhibition window. The movement is not overly decorated, but for those who are new to the hobby that’s really not a factor. It’s just cool being able to see that the little mechanical machine ticking away inside, and in this case you can see it from both sides. Who we think it might be for: If you like quirky pieces with fun stories behind them, check this one out. Would I buy one for myself based on what I’ve seen? Likely no. Not really my style. If I could make one design suggestion, it would be: I’d like to see a little more detail on the dial, and I’d prefer to see the open areas on either side of the movement filled in. 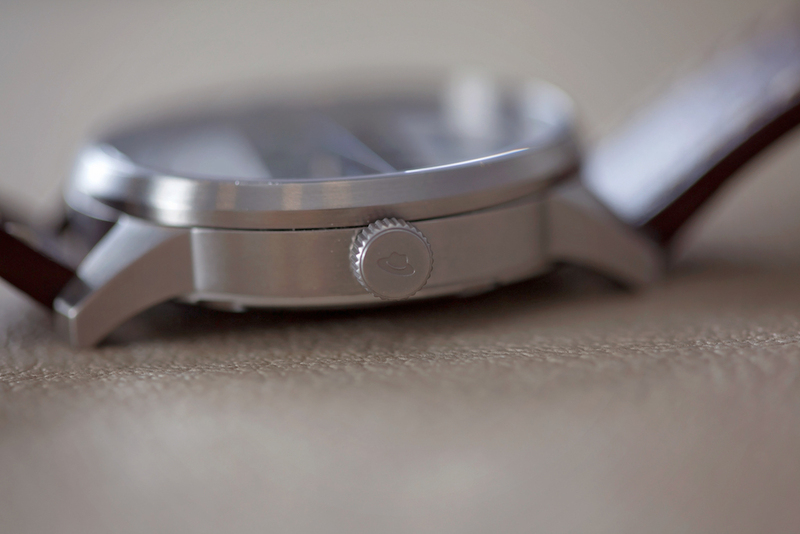 What spoke to me the most about this watch: The fun story. Who couldn’t like a watch inspired by rum? !